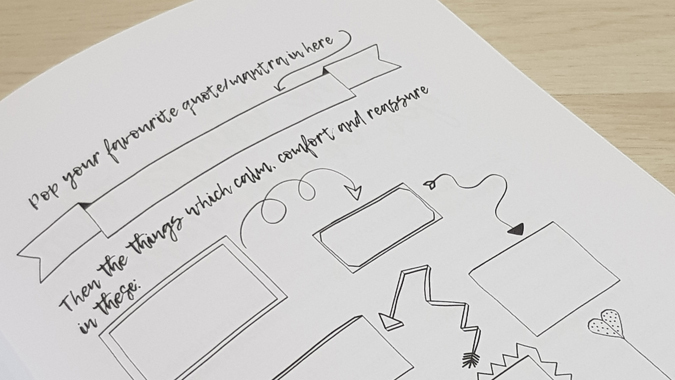 I’ve been raving about Blurt on this blog for months now. For the uninitiated, they’re a social enterprise dedicated to helping those affected by depression. They “raise awareness, provide tools and knowledge to help proactive recovery and challenge the stigma that prevents people reaching out for help”. 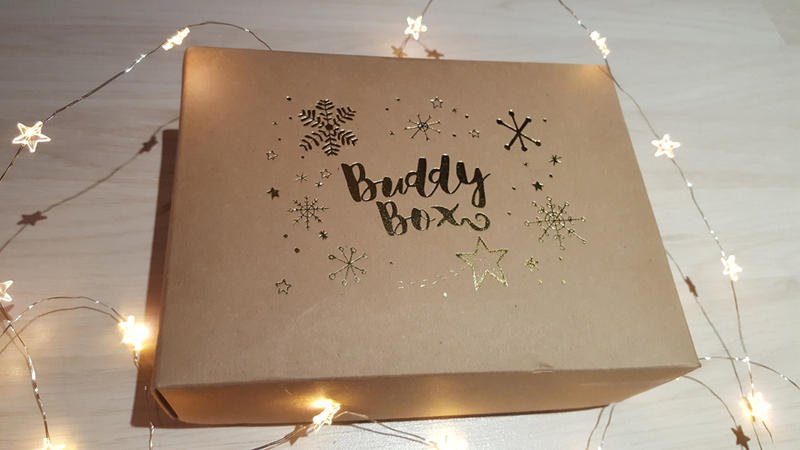 I’ve mentioned a couple of their tools before: the self-care starter kit and the Buddy Box, an incredible subscription service, available at two different monthly rates or as a one-off, which acts as a little hug in a box. 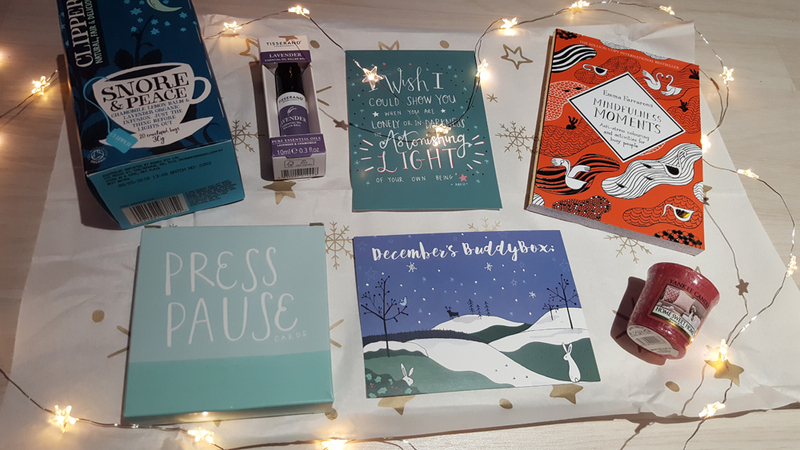 Packed full of self-care goodies to help lift your mood, it’s a great monthly treat for yourself or a gift for a friend who’s struggling. 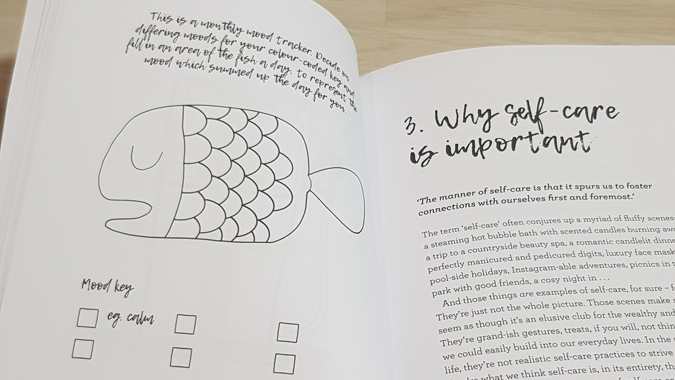 And now founder Jayne Hardy has produced a gorgeous book called The Self-Care Project: How to let go of frazzle and make time for you*. 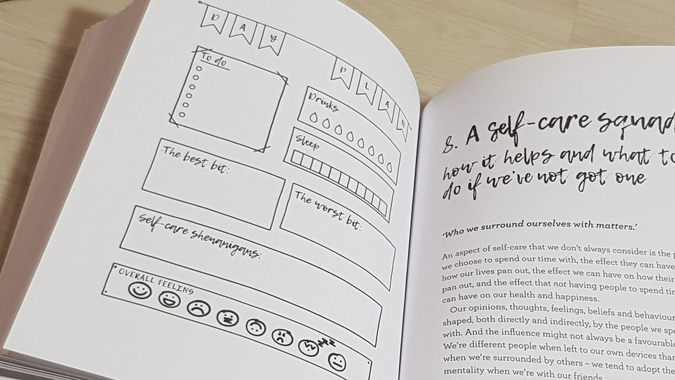 It’s packed with 200 helpful and insightful pages, exploring what self-care is, why it’s important and how to make it work for you. 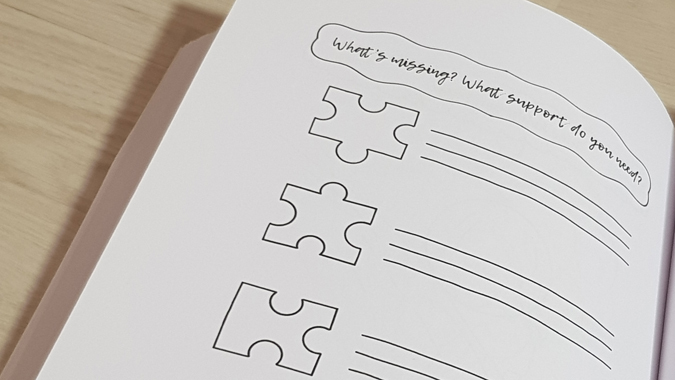 Each chapter features activities to get you thinking about what’s holding you back and how to make positive changes – the perfect toolkit for anyone wanting to start 2018 on the right track. I’ve previously blogged about my own experiences with mental health (see ‘we still need to talk about mental health‘ and ‘some thoughts for Mental Health Awareness Week 2017‘), so I won’t repeat myself here. What I will say, however, is that adopting self-care into my day-to-day life this year has helped immensely. While I’m not medicated these days, I do have bad days and recognising triggers and going easy on myself is so important. That’s why I’m thankful for Blurt for providing these resources. 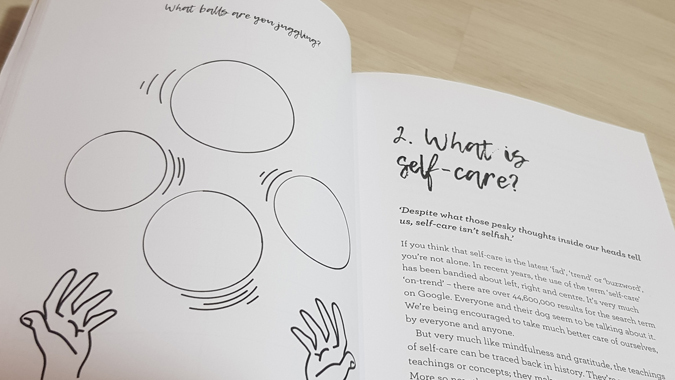 Earlier this year I started a weekly self-care series with the intention of taking regular time for myself and showing others how necessary and easy it is. 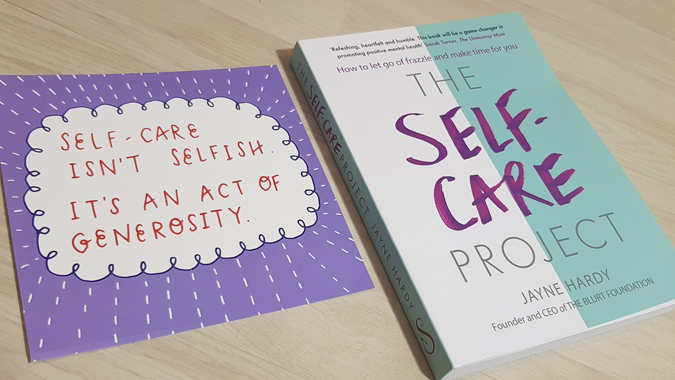 Towards the end of the year this dropped off a bit but, fortunately, there’s a chapter in this book called ‘What to do when our self-care mojo disappears (because it will)’. I love the realistic portrayal of self-care – that’s it’s something we all want to make time for but it’s so easy to get out of the habit. 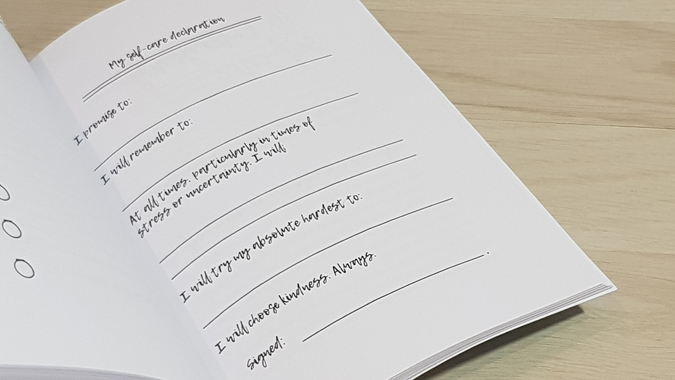 The prompts and activities are useful because they make you think about what’s in your self-care toolkit and help you to put together an emergency self-care plan. I genuinely couldn’t love this book more. I’ll be making my way through this as a mini workbook over the next few weeks. 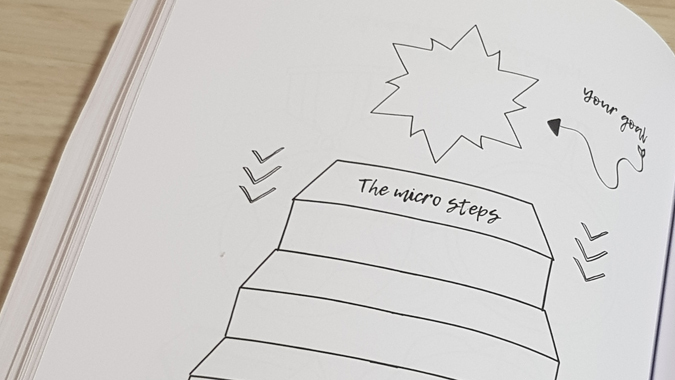 I’ll post a follow-up review when I’ve completed the activities so you can see how they’ve helped me – and encouraged me to put a self-care plan into place for 2018. Wish me luck! The RRP of this book is £12.99 but you can buy it on the Blurt website for just £9.50. 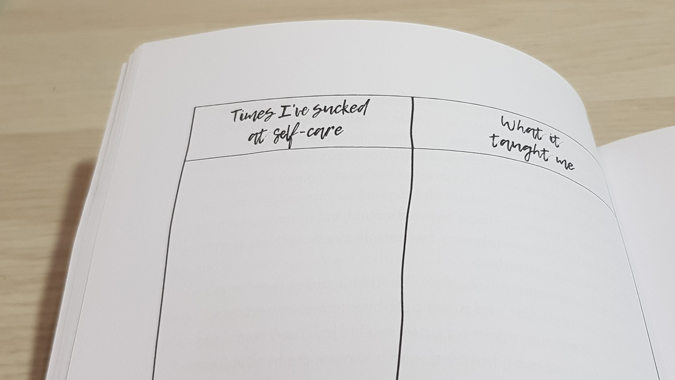 Their online shop is awesome and they also stock these fab self-care planner pads if you fancy some handy prompts. Wow I’ve never heard of this subscribtiom! Thanks for sharing! I’m going to check out the Buddy Box! It’s amazing. I wish I could afford it every month.